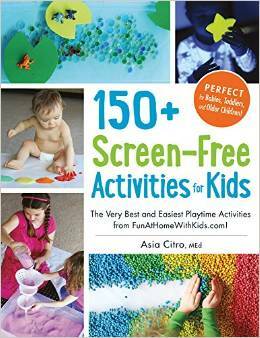 I have been a long-time admirer of Asia Citro’s blog Fun at Home With Kids. Her craft and play recipes are quirky, creative and always have me clicking through to the blog to read more about them. 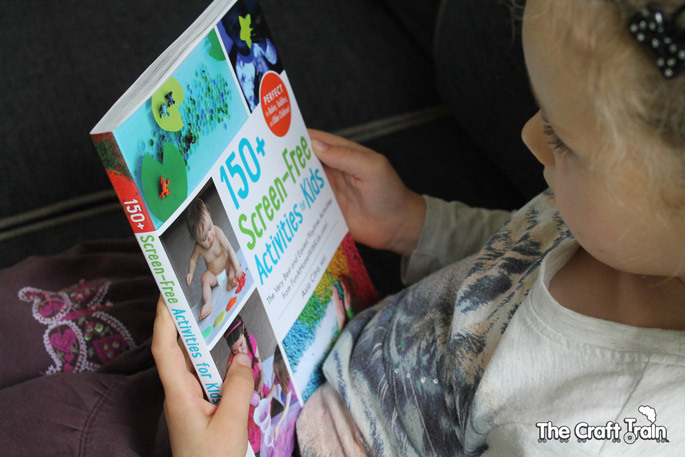 When I was asked to review her new book 150+ Screen-Free Activities for Kids I jumped at the chance, and I am so glad I did. When the book arrived in the mail the other day the girls were immediately flipping through it and wanting to do lots of the activities, and it comes to us just as a large block of summer school holidays looms closer and closer, so holiday boredom is now already sorted for my two girls. *Not this post contains affiliate links, thanks for your support. Miss R happened to be busy at school, so miss K got to choose the first activity we tried. 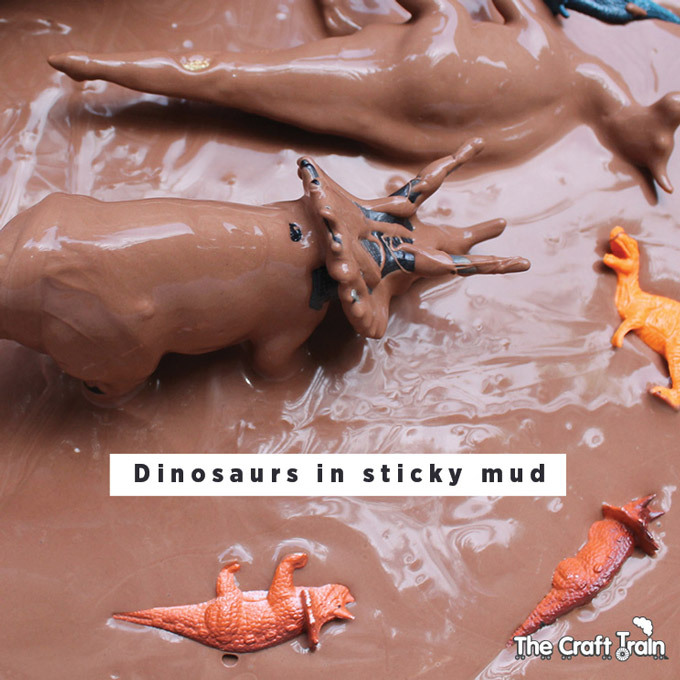 She was particularly drawn to the small world play set-ups, and loved the idea of making a pretty frog pond, but in the end she couldn’t go past the Dinosaurs in Sticky Mud – this stuff is fun! Miss K helped me put the small world together. 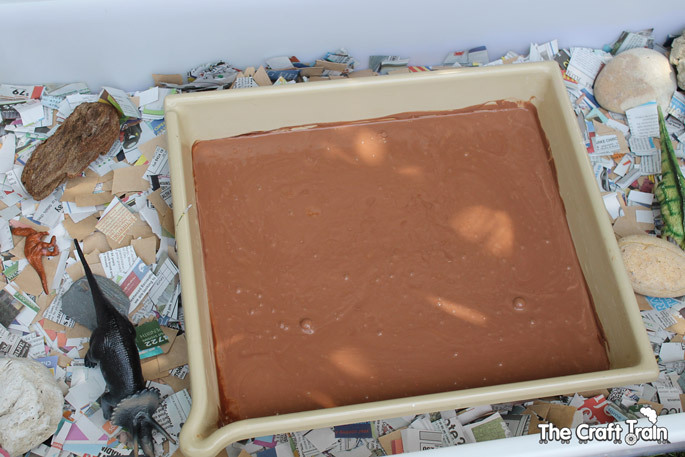 You can find full instructions on how to make it along with the recipe for the sticky mud in Asia’s new book, available here (amazon link, find links to other options for different countries at the end of the post). 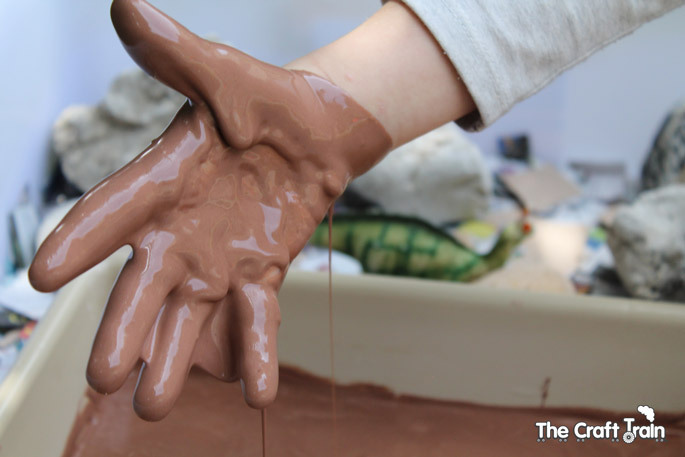 Messy play is there to get messy, and Miss K doesn’t disappoint. 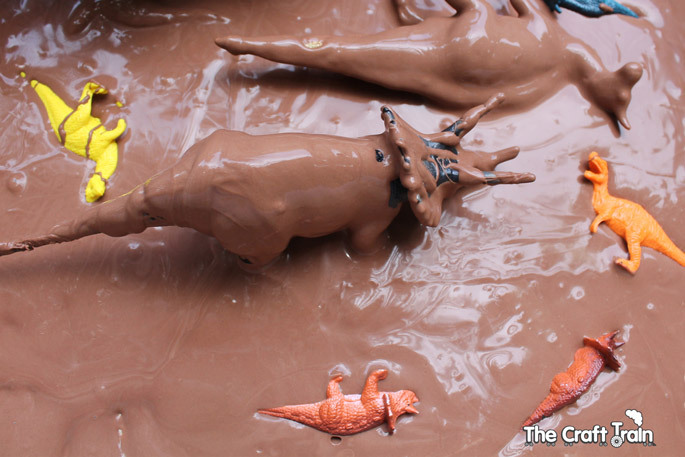 After the dinosaurs had finished their turn in the sticky mud Miss K’s feet went in and she had a good stomp in it, and after that she happily hosed herself off, clothes and all. 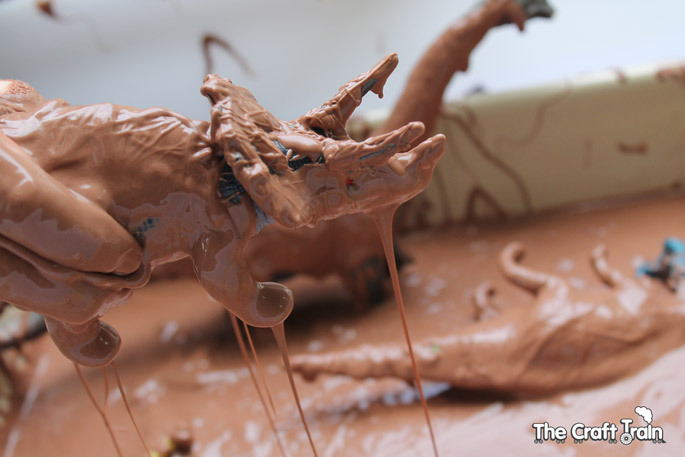 What could be more fun than spending an hour squishing, squelching and playing in chocolate-scented mud? We have lots more activities earmarked from this book. Miss R keeps asking me when we can make the crystallising watercolours, and miss K keeps on sneaking the book into her room to look through it again. 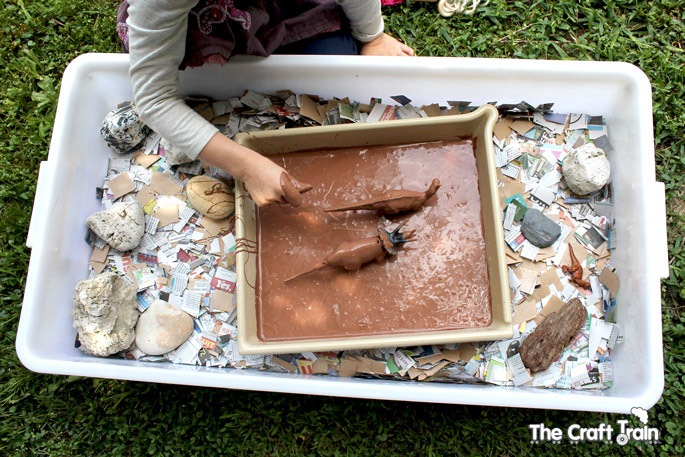 For tons more messy and sensory play ideas visit my messy fun board on Pinterest. 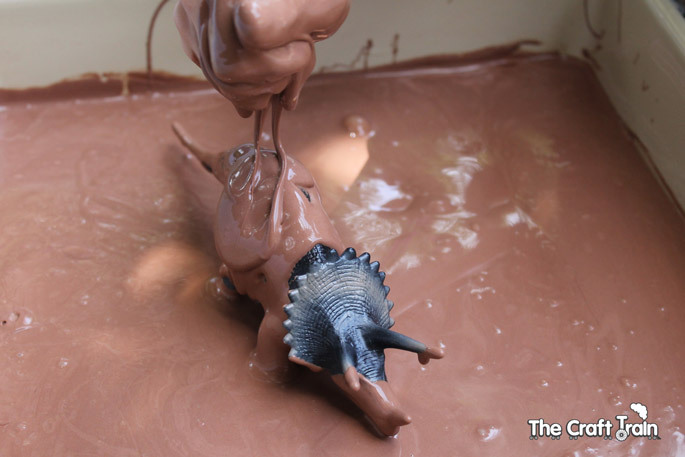 Oh my dinosaur loving 3 year old would LOVE this! 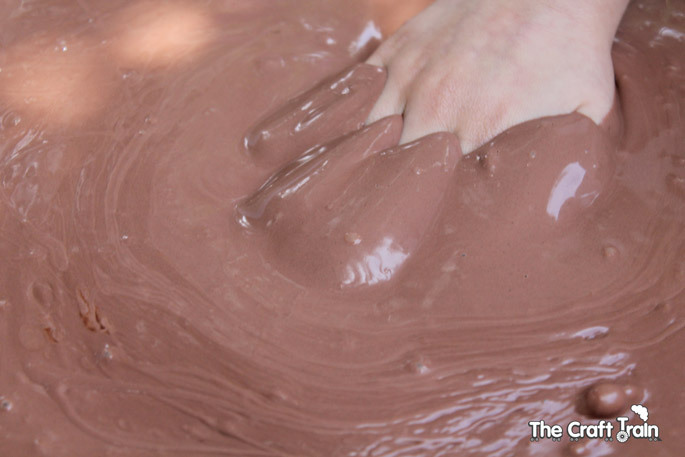 What was the base for your cocoa scented mud? 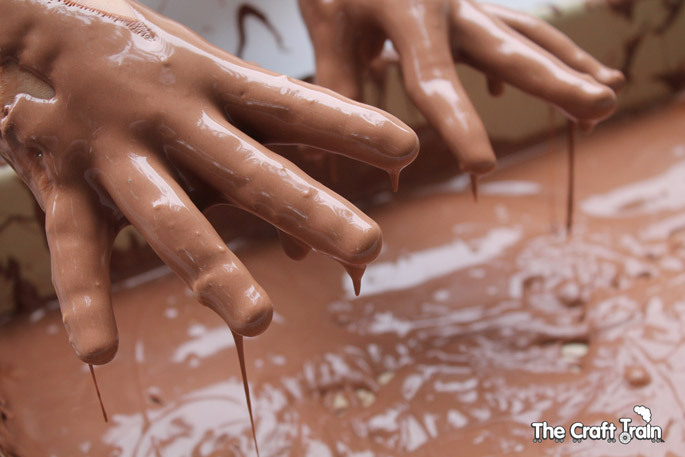 This looks so deliciously messy and squelchy. My girls would love this!!! Same hear my kids would like it too! ooooh I know a small boy who would LOVE this! Great for summer time fun outside with the little ones!